We are SO EXCITED to finally be able to tell you all about a top secret project, that we've been busy working on over the Summer! 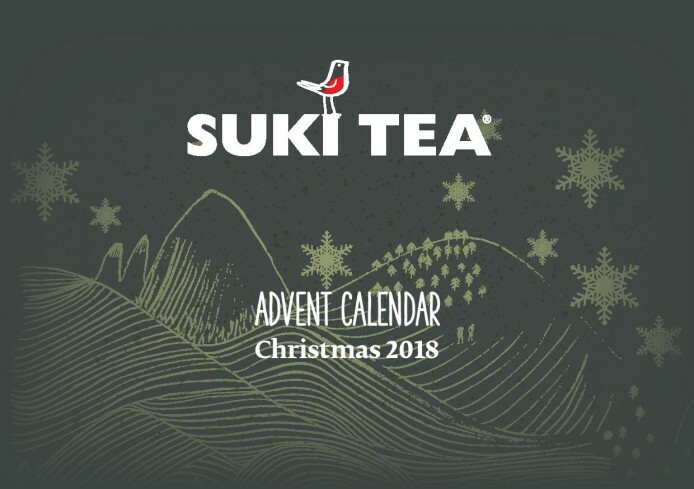 This year you can count down to Christmas with Suki.... That's right, you've guessed it, we've created our very own Suki Tea Advent Calendar for 2018! The advent calendar will be filled with 24 boxes of our lovely loose leaf teas for you to unbox and discover on the days counting down to Christmas. You'll be able to enjoy a different cup of Suki tea every day! We can't think of a better way to relax and get in the festive spirit can you? What makes our advent calendar extra special is that we've hidden four brand new blends, which are exclusive to the calendar in those little boxes and we've got a surprise for you at the end (no peeking pre December 25th!). There are a limited number of tea advent calendars available and already they are in HIGH DEMAND! Make sure you grab yours quick... GO GO GO! Is the Advent Calendar Tea sold out?